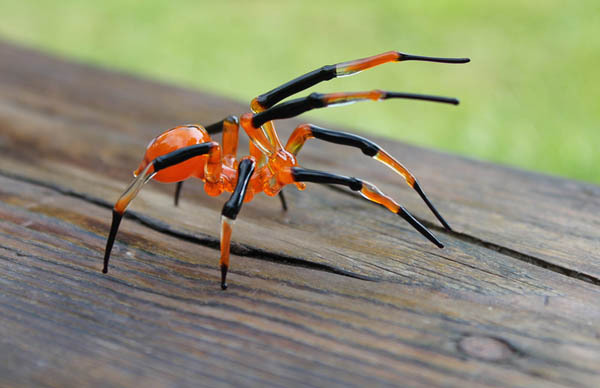 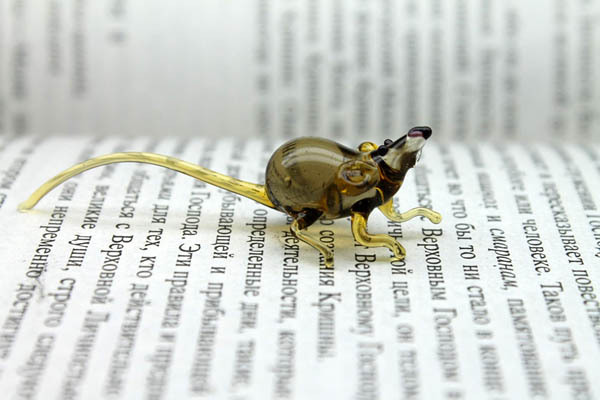 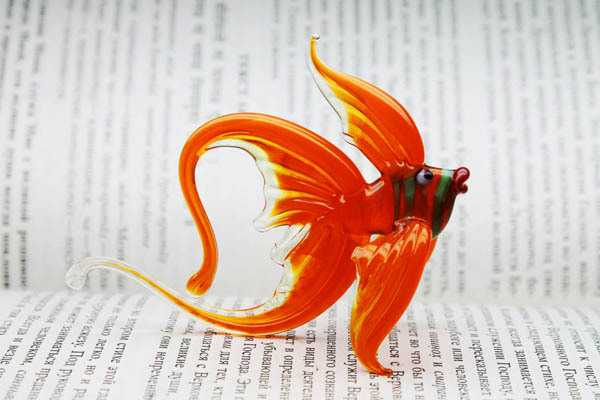 Ukrainian glass artist Nikita Drachuk, the person behind the etsy shop “Glass Symphony” create below delicate glass animal sculptures, spiders, grasshop, octopi, and other critters by hand. 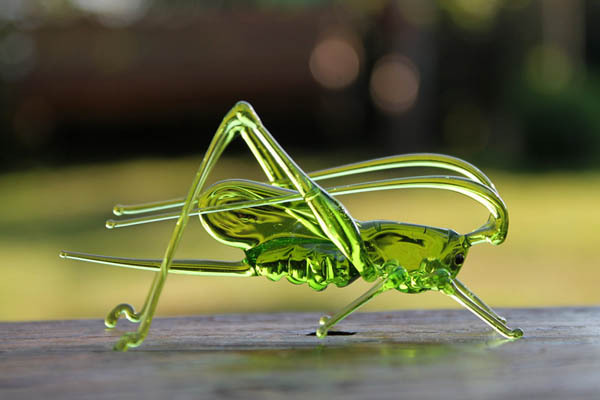 He uses a method called lampworking, where a lamp or torch is used to melt rods of colored glass. 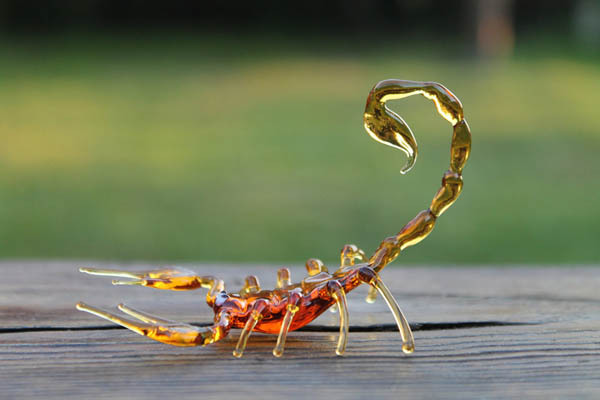 Once in a molten state, the glass can be formed by blowing and shaping with various tools and small movements. 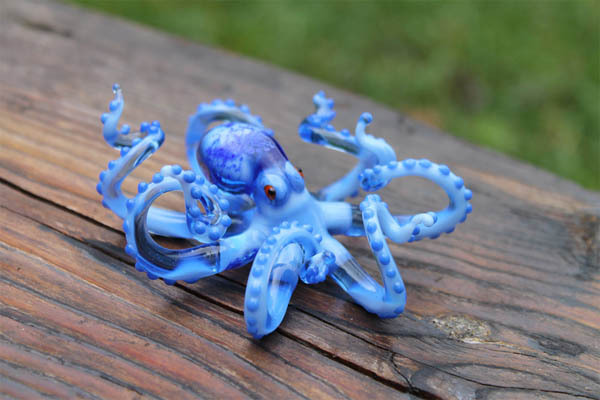 For delicate items like the octopi and spiders, you can imagine how much patience and skills needed. 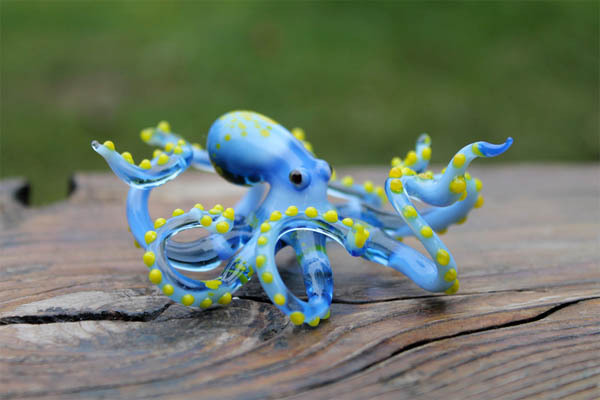 Enjoy some of Drachuk’s work here and see more on his etsy store.